Country walks, pub lunches and amazing views from the train – all just a short hop from Plymouth. Check out four great days out in the Tamar Valley. 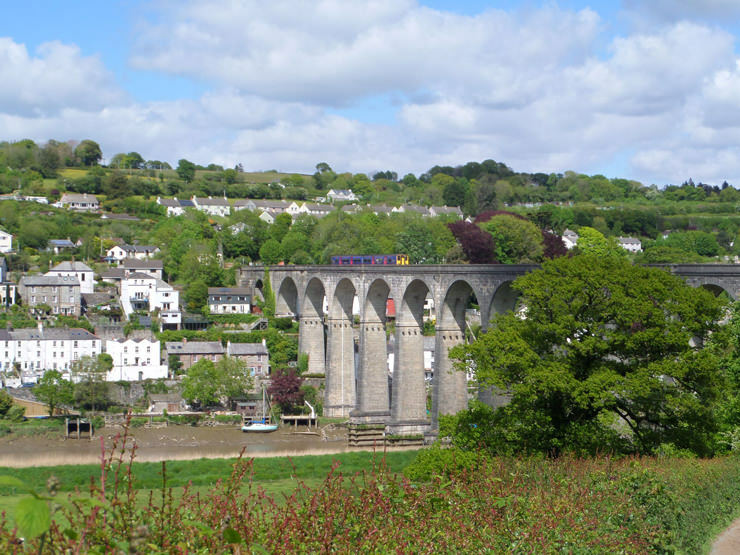 From Plymouth station, the scenic journey on the Tamar Valley Line gets you to Calstock in just over half an hour (look up train times), after crossing the 120-feet-high viaduct shown above. 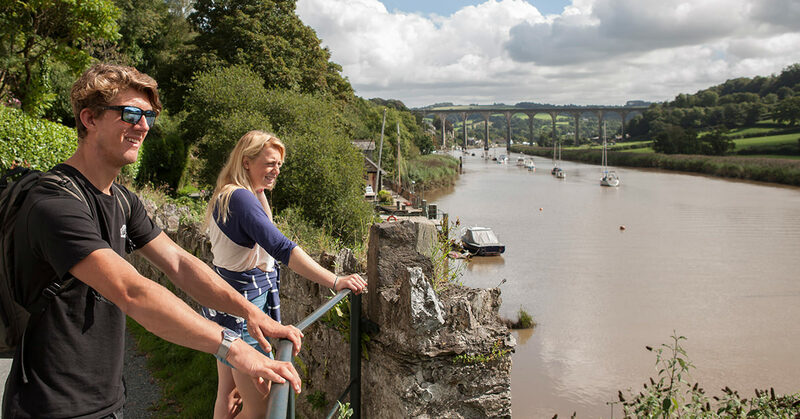 From Calstock you can take a beautiful riverside walk (1.5 miles) to the National Trust’s Cotehele property, where you can explore the historic quay and relaxing woodlands. You might want to grab some lunch at the barn restaurant next to the main house (ask at reception to go to the restaurant only – then you won’t have to pay house admission). 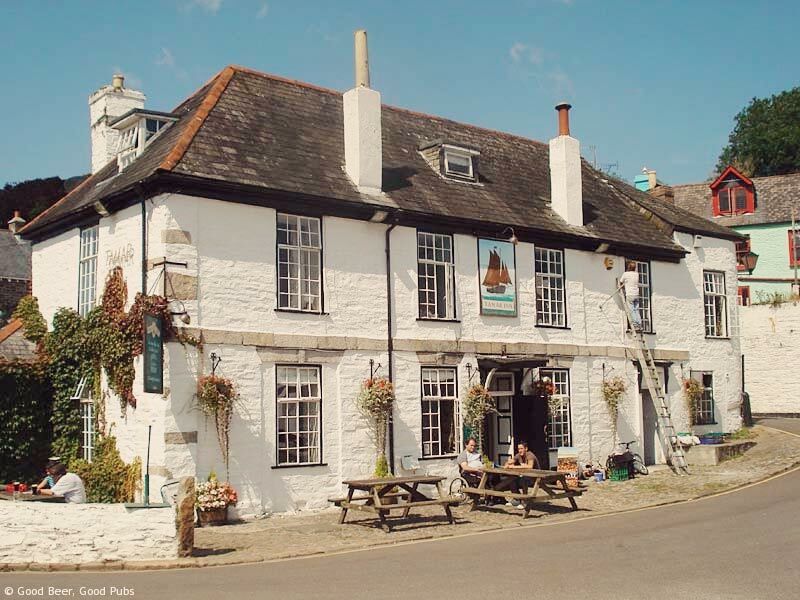 If you’re peckish back in Calstock itself, explore the picturesque village and try its pair of pubs, The Tamar Inn (pictured above) and The Boot, both of which serve great food. Pop into Valenti’s too for some top ice cream! Trains back to Plymouth depart Calstock at 15 56, 17 39, 19 24 and 22 32 (Mon-Fri). Look up Saturday and Sunday times. The Off-Peak Day Return fare from Plymouth to Calstock is £6 for adults, or £3.95 with a railcard. 5-15 year-olds are half price, and under 5s are free. Buy your train tickets at Plymouth station before boarding the train. 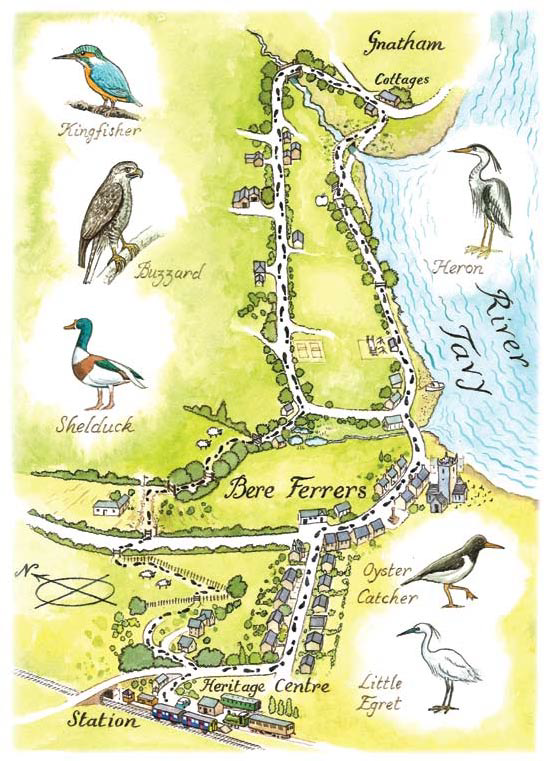 Just 20 minutes by train from Plymouth, the riverside village of Bere Ferrers is a great place to escape the city and enjoy the countryside on your doorstep. (It can also be visited as a stop-off on the way to or from Calstock – an Off-Peak Day Return ticket allows you to hop on and hop off). The village’s pub, The Olde Plough Inn, dates back to the 16th Century and serves top notch locally-sourced food and a selection of fine real ales. 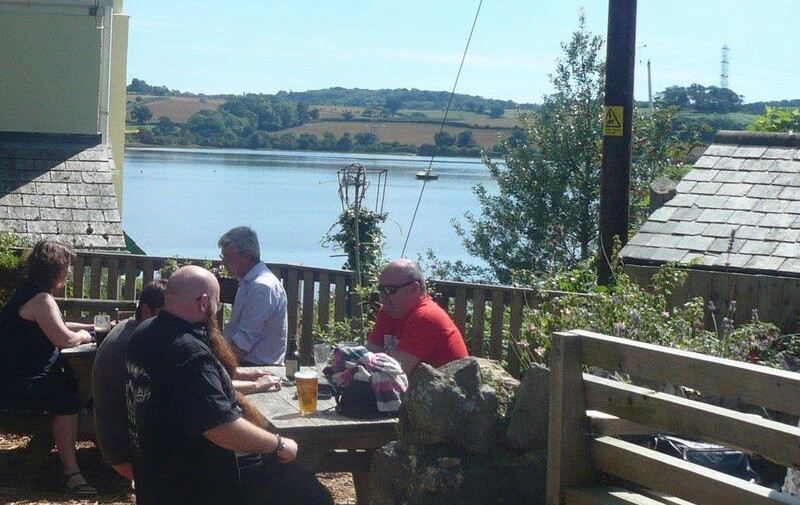 Its beer garden overlooks the river and has fantastic views. The village is 10 minutes’ walk from Bere Ferrers station. This can be turned into a longer 3-mile circular walk of the area, with plenty of opportunities to spot the local bird life. Get a map and directions (see Walk 3). 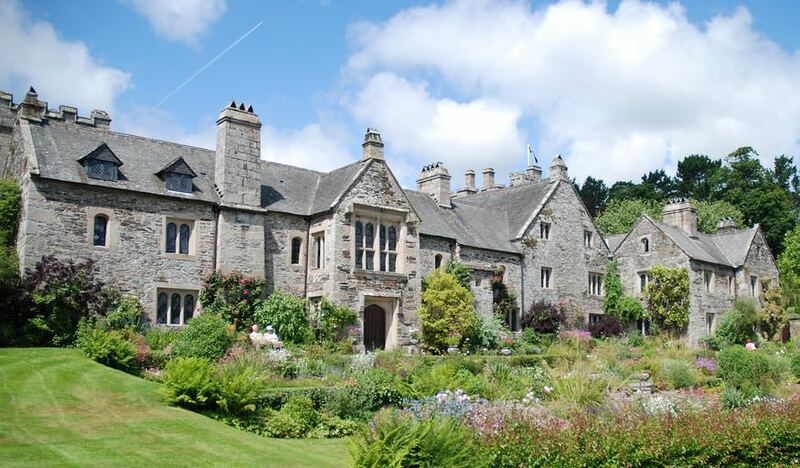 Bere Ferrers is home to events including live music at the Olde Plough Inn, the popular Apple Fest in early autumn and the Spring Flower Show, celebrating locally grown daffodils. See other events on the Bere Ferrers blog. An Off-Peak Day Return from Plymouth to Bere Ferrers is just £5.10 (adult), or extend your stay by stepping back in time with a night at the Tamar Belle at Bere Ferrers station. 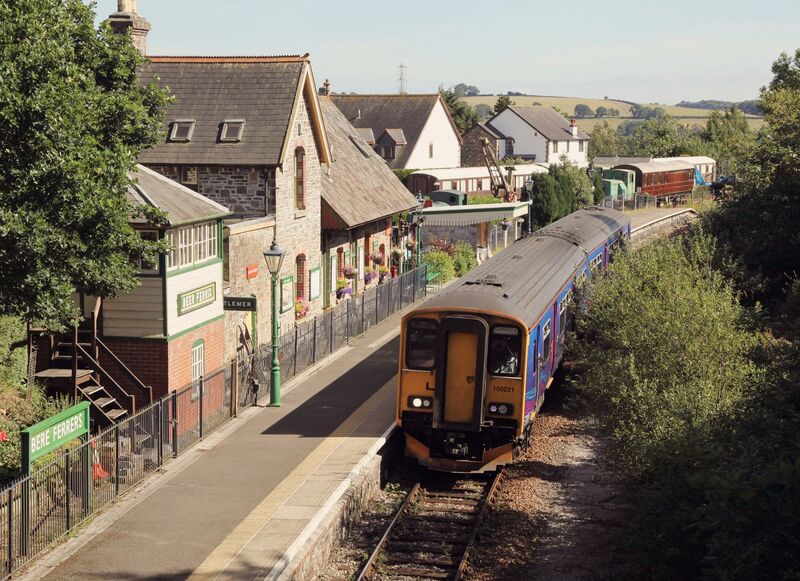 Hop on and off the train to explore country pubs near stations on the Tamar Valley Line. Our online guide has details of all the participating pubs. 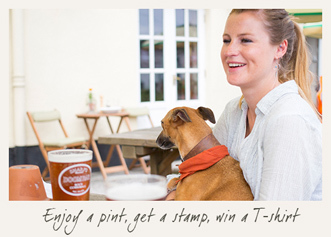 Sample the real ale or great food in any of the pubs and get a stamp on your sheet. Once you complete your sheet, you win a free T-shirt. Find out more. 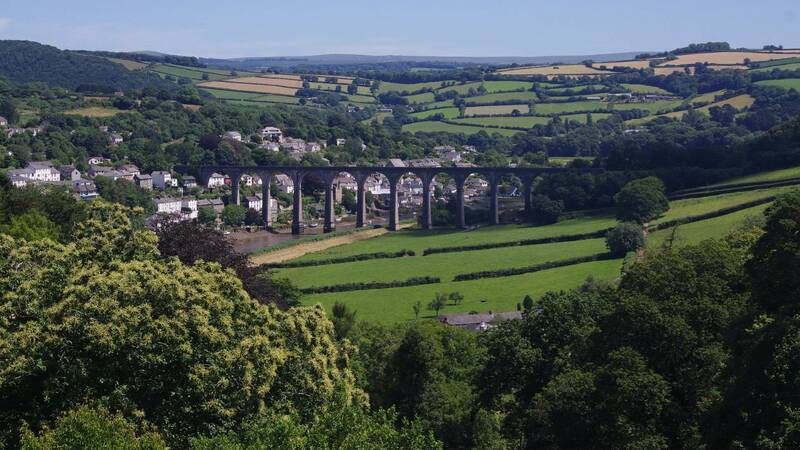 The Tamar Valley offers some fantastic scenery for countryside walks starting at stations along the line. 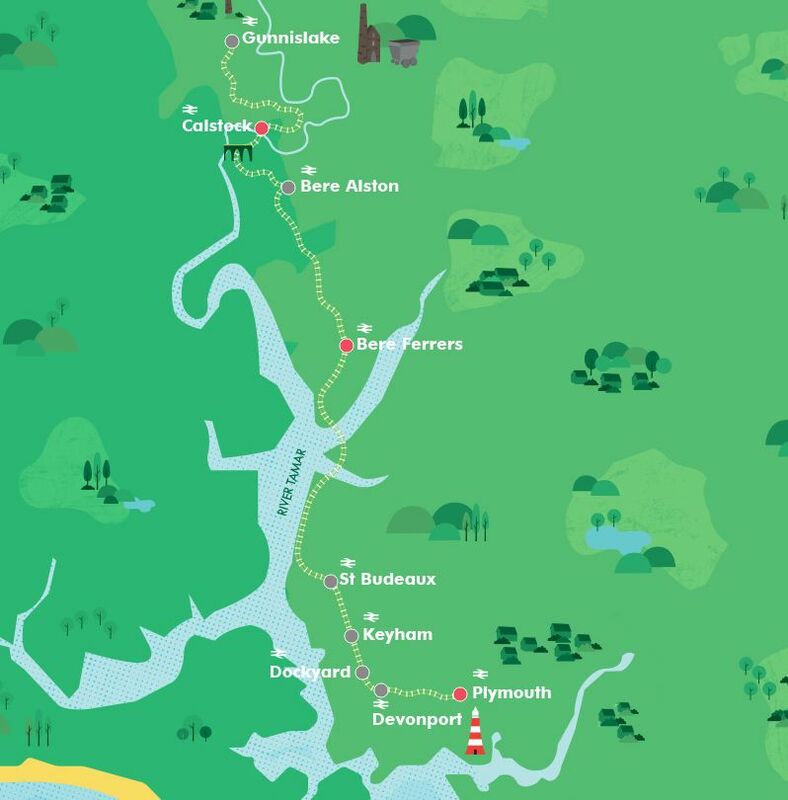 Our online booklet (free to download or print) gives directions and maps for walks from Bere Ferrers, Calstock and Gunnislake stations. Enjoy! 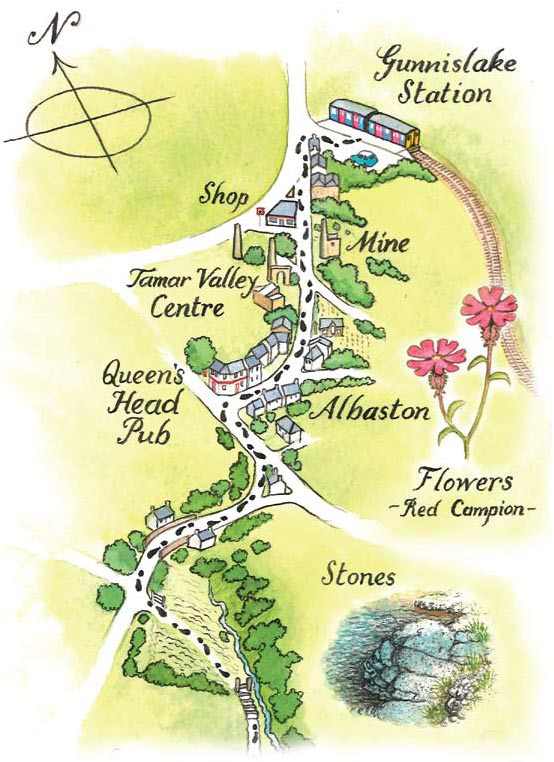 Find even more things to do on the official Tamar Valley Tourism website. Part funded by the Designated Community Rail Development Fund. The Fund is backed by the Department for Transport and ACoRP, the Association of Community Rail Partnerships.